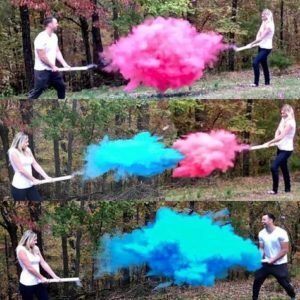 Gender reveal parties have become a massive trend lately, and we love it. 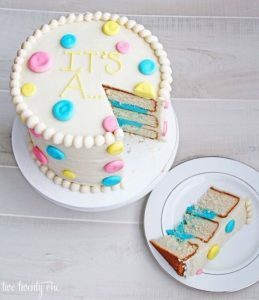 Gone are the days where you have to wait until your baby is born to find out what gender your baby is. With technology, after a few months, you can know what gender you are having. Is technology not lovely? 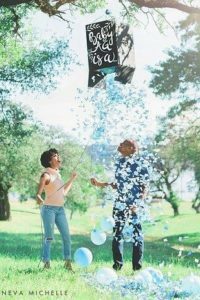 Besides this helping you decide what you can name your baby, it makes shopping for your baby so much easier and puts you at ease with one less thing to worry about especially for those types of people who like to plan everything. 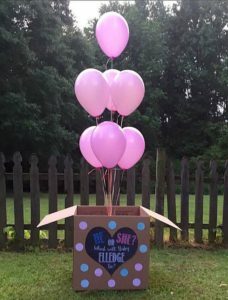 The balloon is in a box and has the gender of your baby on it either the word or the colour. It’s put to you how you would like to do it. The couple stands in front of the family and releases the confetti popper. The confetti should be filled with either pink or blue determining the gender. Once popped the gender colour will be released. And Surprise! You know what you are having. Getting coloured smoke and releasing it. We suggest that this should be done outside.